Tree removal is the practice of removing a tree due to its location, size, decay, or disease. Since trees can grow extensively, they also have the potential to damage the surrounding infrastructure or could be in the way of new building projects. Other times, trees may also succumb to diseases or infestations that hinder them from producing healthy growth. If a tree becomes infected, it can also affect surrounding plants and greenery negatively. Therefore, trees that are diagnosed with a disease should be removed to stop the spreading of further harmful diseases. Some property owners may want trees removed because of their size and location. If a tree poses a threat to the surrounding infrastructure or is in the way of new building projects, it could be inconvenient to keep it in its current location. Tree removal services can take down the tree to avoid damages during a storm or if it is already causing harm to your home’s exterior. New building projects may ask for land clearing which includes the remaining trees that stand in the way of new construction. If you’re unsure whether or not a tree needs removing, you can seek out our professional advice before having the tree removed or tree surgery performed. Like humans, trees can become infected or infested. When they are infected with a disease, this can easily attract pests and rodents that take comfort in the decaying parts of the tree. While a tree cannot be given medicine that ‘cures’ its disease, the affected parts can be removed to stop the spread of the disease and abolish pests. If the whole tree has already been affected, then it will likely need to be cut down before it can spread to other parts of your lawn. Tree surgery is the act of removing a tree or its parts. Like standard medical surgery, tree surgery is a delicate process that involves removing the tree in parts and steps, rather than simply chopping it down in one instance. 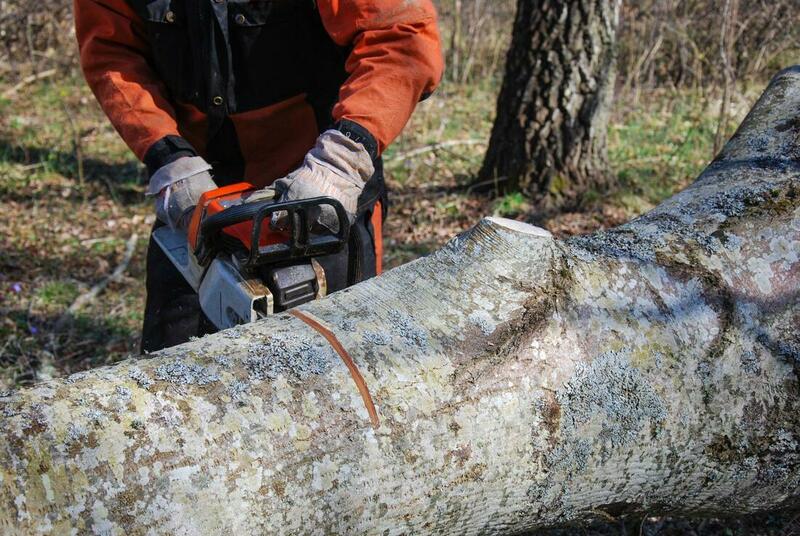 Tree surgery takes care of parts of the tree that are infected with a disease or are rotting and should be removed. Some branches of the tree can also put the tree off balance or may not be necessary for the tree’s health. All of these components are taken into consideration before the removal of a tree or its parts. When you enlist our services for tree removal, you should know that you’re getting the best the city has to offer. We provide tree removal services that are carried out by our licensed professionals with extensive experience in the field of tree surgery and tree removal. Each of our practices and services is maintained to a high standard and our certification to continue as a practicing tree company is always kept up-to-date. Clients trust our licensed professionals because of the resume of successful and dedicated work we have. If you’re still unsure, you can check out our raving customer reviews from previous clients who have also trusted and are satisfied with our work!